Secondary RX 5.8Ghz diversity module with beeper and wire harness. The Diversity Module is an additional 5.8GHz receiver with status LEDs buzzer and wiring harness. 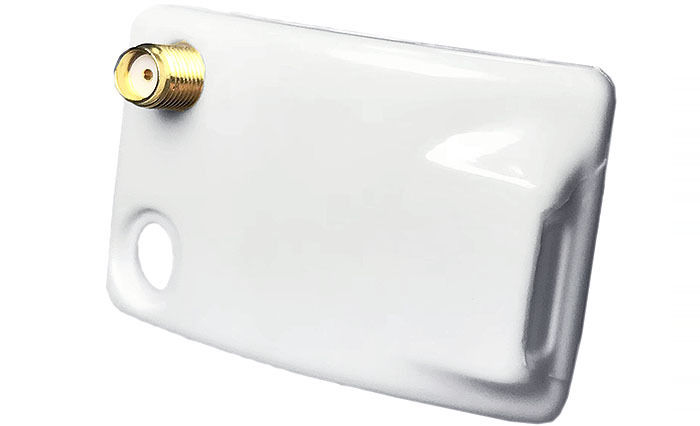 Adding a secondary receiver gives another layer of reliability and allows for different types of antennas to be used simultaneously so you can feel confident you are getting the best signal. Finally a Fat Shark diversity module that works. When plugged into the Main Module, the Diversity Module is automaticly detected and ready to use without any firmware flashing. 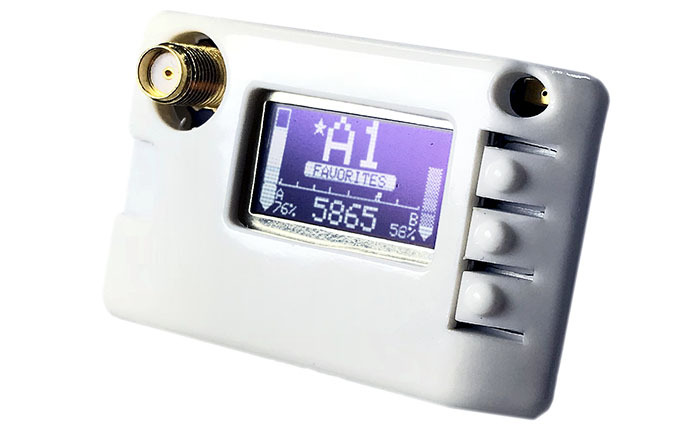 Custom engineered VRX module with dual 5.8GHz filter capable of receiving the cleanest RF signal. Plug the supplied wireing harness directly into the diversity port of the Main Module. Add audio confirmation to button presses and antenna switching. Indicates power (red) and if receiver is active (green). Diversity Menu Select which antenna to use & switching speed. Auto Detect Firmware automaticly detects when diversity module is plugged in. 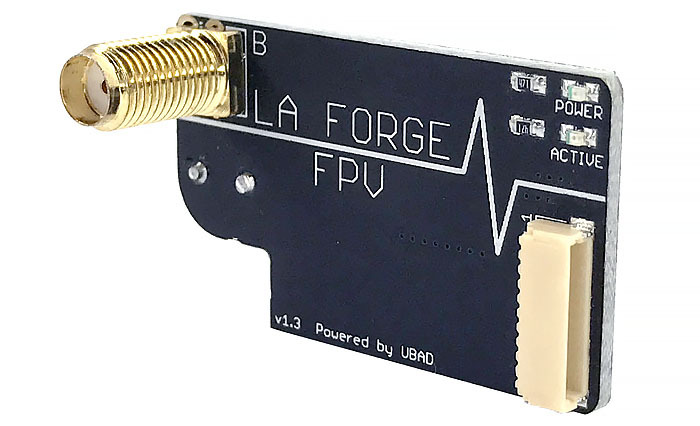 Designed around a custom vRX module only found on LaForge FPV Products. 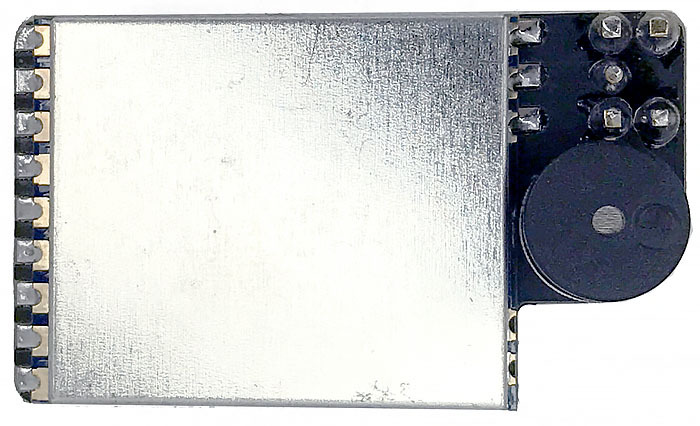 High sensitivity dual filtered 5.8GHz module. * A few users have reported burnt ribbon cables while using the Diversity Module. In all instances these goggles were opened up or modified in some way. LaForge FPV and UBAD do not reccomend modding your goggles. Modding your goggles will void your fat shark warranty. User installs Diversity Module at their own risk. 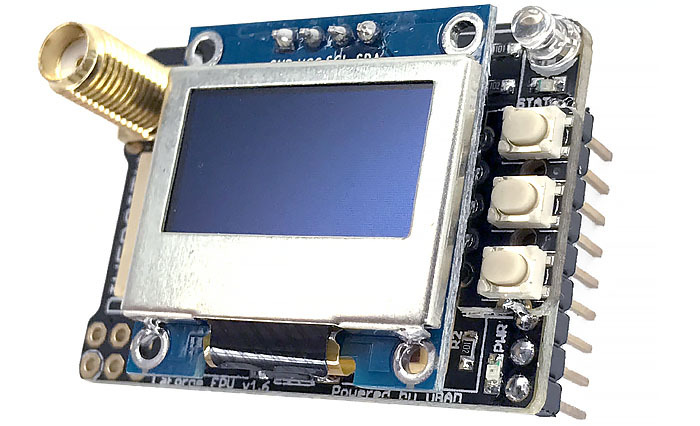 V4 RX 5.8Ghz spectrum analyzer with OLED display, OSD, USB, and Pit Audio. 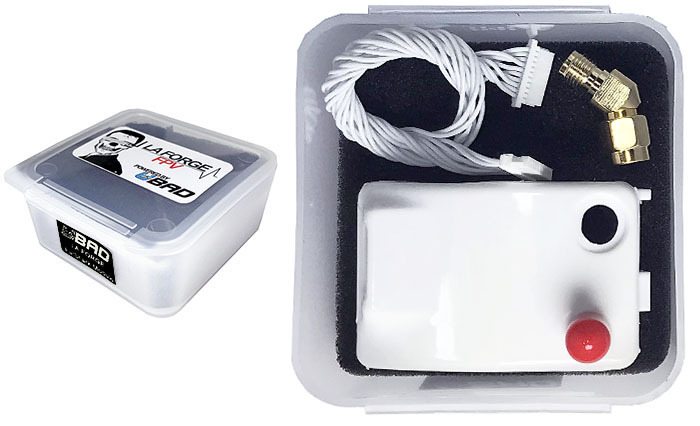 V1-3 RX 5.8Ghz spectrum analyzer with OLED display and IR emitter. V1-3 Secondary RX 5.8Ghz diversity module with beeper and wire harness.